Posted byAtulHost	 3rd Aug, 2018 4th Aug, 2018 Leave a comment on Most Common Data Backup and Recovery Mistakes: How to Avoid Them? Data is crucial when it comes to efficient business administration, and we used to put in a lot of money and efforts into a database storing and up keeping. However, when it comes to backing up database overtime, there are chances that it may crash due to a technical failure or other causes. In such cases, there are practical data recovery mechanisms exist, but people tend to make mistakes by getting panicked and end up doing wrong things. In this article, we will discuss some such common mistakes inexperienced DBA’s make during data recovery, which ultimately end up in a total loss. Over time, all enterprises will experience data growth, and it is essential to do good planning for it. If your business grows, but there is not enough planning for data, eventually you will hit and cross the limits, and the backup infrastructure may crash. This can be a highly embarrassing situation, which can instantly block your growth and make it difficult to revive. So, at the first point, you need to keep the golden rule as ‘prevention is better than cure’ in terms of database administration too. A robust data backup and reporting solution need to be maintained. You must take care of hardware maintenance and data backup from time to time along with future database planning. However, even on being optimally cautious, there may be many external reasons causing a hardware crash and data loss. Let’s further discuss a few things you should keep in mind to practice successful data recovery. In a small business data environment, when a data drive fails, the users immediately tend to try and recover the data as in case of damaged PST data all by themselves instead of calling in for the help of a professional. It refers to DIY repair, which may be riskier at times. Due to lack of experience and knowledge, you may be causing further damages to the drive. Users will first tend to run the CHKDSK when the primary hard drive fails to fix the drive issues. However, you should know that it will disable you from recovering the drive, and in addition to it, doing so will also end up in a data overwrite, which further makes it utterly impossible to get the previous data back. In RAID 5 systems, the array will still be able to function if one drive fails. However, such an array will be in a degradation mode, which means the alternate hard drive may also fail over time. For this reason, you need to replace that specific drive as soon as one fails. Administrators used to wait until two of them fail, which ultimately makes it troublesome to restore the hardware and makes data recovery disturbing. The logical damage can be fixed with third party tools through remote software management. However, it cannot be that easily repaired this way if the disk is physically damaged. As above, this attempt will also result in data overwrite, which makes it further difficult or impossible to retrieve data. Opening it will be essential to troubleshooting a corrupt hardware. As per the protocol, you can only open a drive just in a clean room as these a highly sensitive. It may get damaged further if it is opened in a dusty room or if the environment is excessively humid. Previously, it was an easy method for many administrators to try swapping circuit boards on a hard drive to fix a drive failure. However, this technique will not work nowadays, and it may also cause some damage. If you have replaced circuit board and failed to recover the drive, it may further become difficult to retrieve the data even if you send it to an expert recovery service. You should know that various data sets pose different challenges in terms of backup and recovery. So, it is vital to select the right tools for the proper purpose and environment. An excellent example of it can be seen in virtualized environments as of now. Most of the virtualization tools have cloning capabilities inbuilt which act as an internal backup and recovery in case of a crash. However, this may take up the same amount of storage space. It is fine if you do not often change your virtual machines, but if it gets updated frequently, then you may want to take a fresh copy every time, and this approach will soon eat out your storage. To tackle this, you should always use the right tools based on your organizational needs. Consider which applications are most critical to your business and implement the data protection and recovery solutions accordingly. 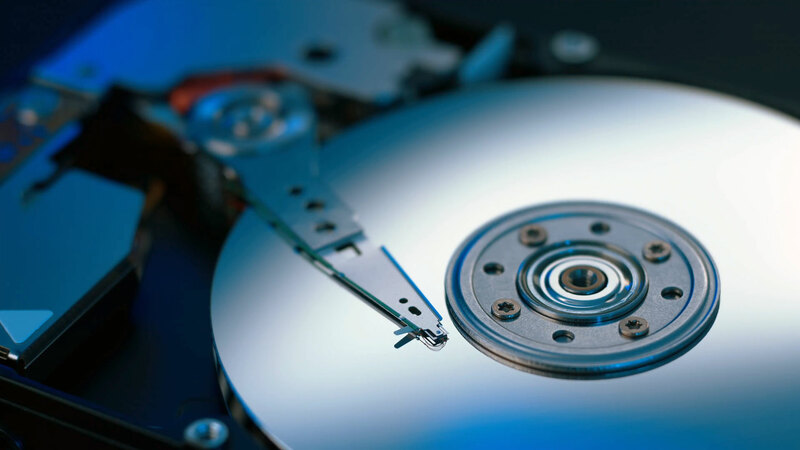 Above mentioned are a few crucial considerations to make before jumping into any random data recovery efforts once you face an unfortunate crash. On being diligent and knowledgeable about it, there are undoubtedly way outs for data recovery and restoration.